Titu is going to marry a perfect woman named Sweety. 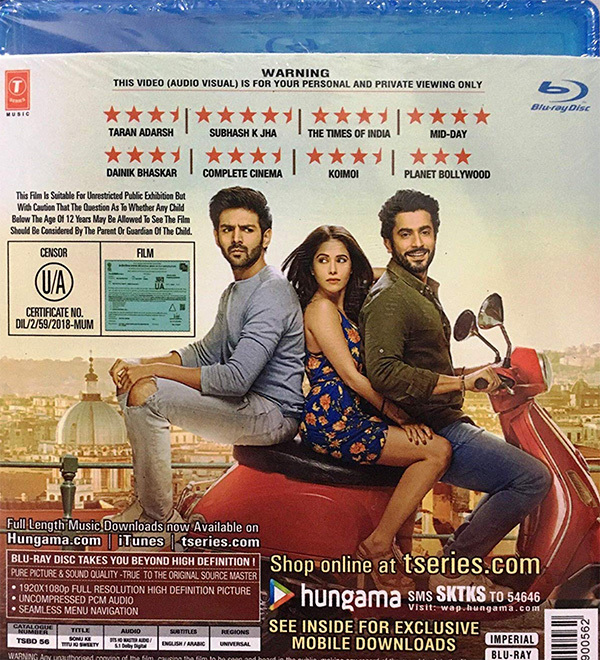 Titu's best-friend Sonu doubts Sweety's character and tries to break the marriage while Sweety tries to do opposite and which leads to war between Bromance and Romance. We have always been told that "Marriage" is a marriage between two families. 'Sonu Ke Titu Ki Sweety' explores the new age version of the same belief where "Marriage" is a marriage between two friend circles. What happens when you decide to get married, but your best friend and your girlfriend can't see eye to eye. Sonu and Titu are childhood friends. Titu has always been a naive lover, who falls in love easily and Sonu has always had to step in to save him. But Sweety is the perfect bride and Titu is head over heels in love with her. Sonu's instinct to protect Titu at whatever cost, makes him feel that she's too good to be true. What ensues is a war between the best friend and the bride to be. While Sweety is trying to impress Titu and the family alike, Sonu is out to sabotage the utopian romance.